The District On Main. Claremore, OK.
Confession: Black Friday is not my favorite. I am not about fighting through gobs of people in the middle of the night. My sister thrives in that chaos. Counting down the days until she can put on her warrior paint and join the masses to scoop up all the amazing deals. I would rather be snuggled up on the couch shopping online. There is one exception. Small Business Saturday. I love any excuse to get out and support my local friends and their amazing businesses. 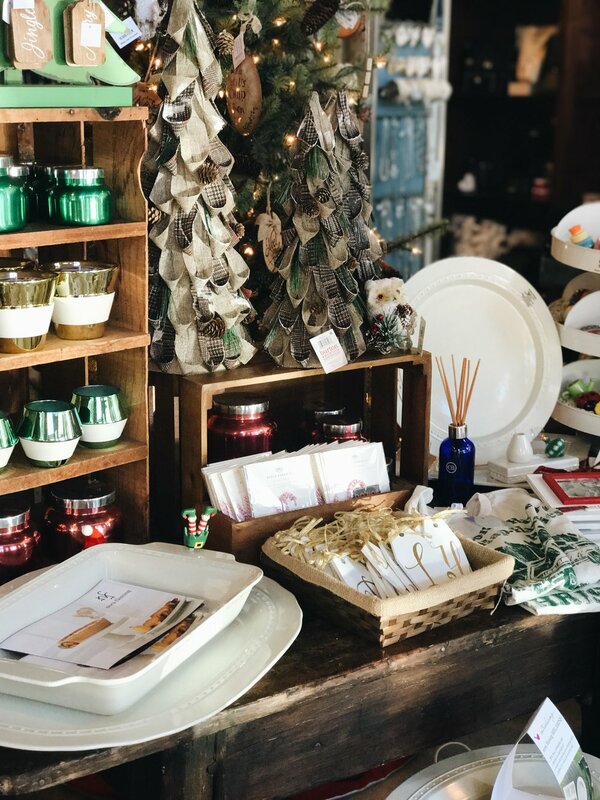 Today, I am rounding up a few of my favorite local shops. If you are in the Claremore, Broken Arrow, or Tulsa area, be sure to get out and support these local shops today! My personal Claremore favorite: The District On Main. The District On Main carries some of my favorite brands such as Free People, Kendra Scott, Lauren James, Judith March, Lenny & Eva, and many more. Everything is 20% off in store today! You all know that Jenkins and Co. is forever one of my FAVORITE places to shop! You can never go wrong with a drive down 66 to chat with Lisa. Jenkins and Co. also carries The Makerage, another one of my favorites! What local businesses are you supporting today?